Name a single business metric to improve and a specific behavior you wish to change. Assemble the team that will manage the initiative. Decide on the scope of the initiative: job role, organization, and size of the audience. Begin managing communications about the project. With this preparation in place, you are ready to find potential solutions. First, we want to discuss how to prepare for the upcoming conversations with gamification providers. Preparing a worksheet for your discussions will be helpful. You will want to be specific about your needs, and a worksheet will keep your conversation focused. 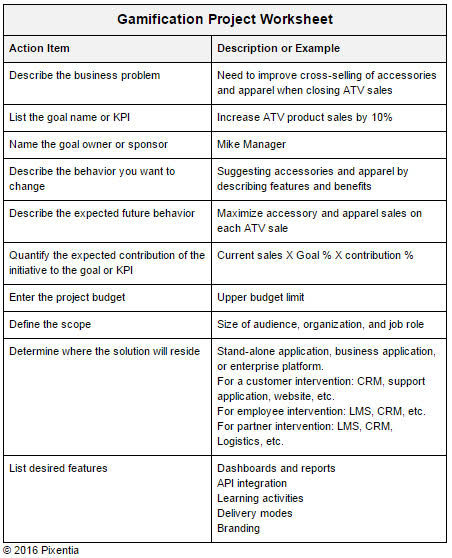 Describe the business problem and list the associated business goal or key performance indicator (KPI). Name the goal owner, who should serve as the project sponsor. Isolate the behavior you wish to change. Not only will this help in the design, but it will also prevent scope creep. Describe also the expected future behavior. Quantify the expected contribution of the initiative to the goal or KPI to establish how you will measure and report on the success of your project. List the project budget. 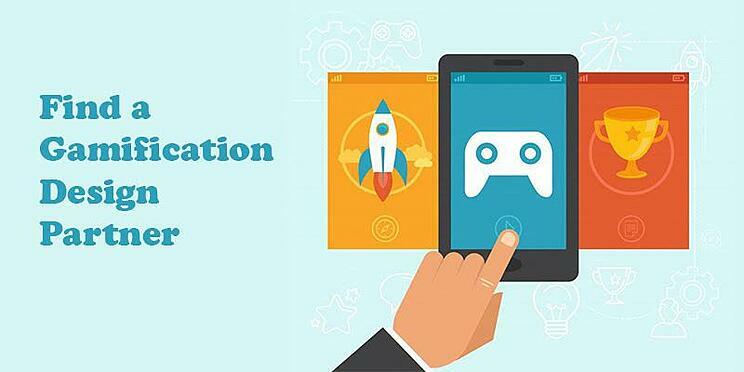 The cost of gamification initiatives can range from almost nothing to very expensive. Keeping your eye on the budget will help to keep your design simple. Often, the simplest designs are the most effective. Define the scope: what part of the organization will participate, the number of people, and their job roles. Determine where the solution will reside. It might be a stand-alone application, or it could be integrated with one or more of your enterprise platforms or business applications. It may be a learning program in your LMS, a performance support initiative in production systems or a workflow in your customer relationship management platform. These preparations should prepare you well for your vendor search. Find providers who specialize in your industry. Talk to colleagues to learn about their experience. Use Google or industry associations to narrow your search. You will also find both free and paid online vendor recommendation services. Have several conversations with each of your candidate providers. You will want them to meet your requirements, but be prepared to consider other alternatives. 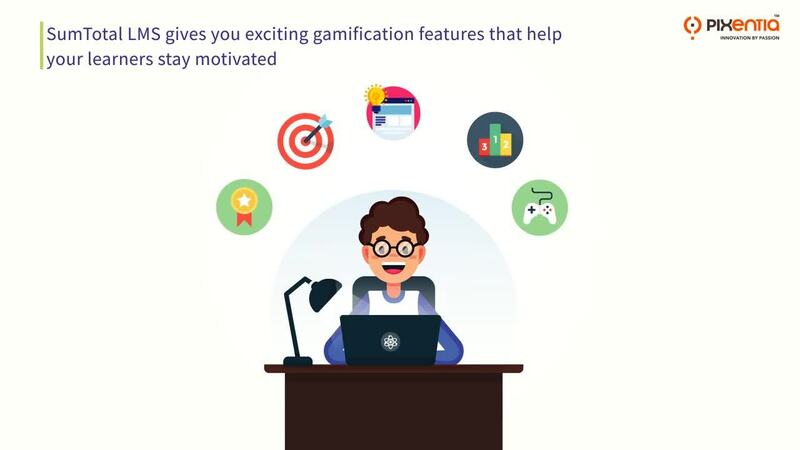 Gamification is a rapidly growing industry. Innovations are frequent. The underlying purpose of the conversations with vendors is to decide if you wish to work with them. We believe in the principle that those who can simply explain complex concepts are the ones who know it best. These conversations should give you a short list of viable solutions you can carry into your procurement process. In our next article, we will discuss how you can support and manage your implementation.